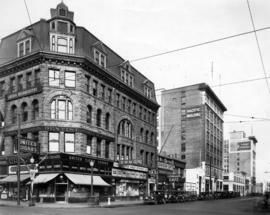 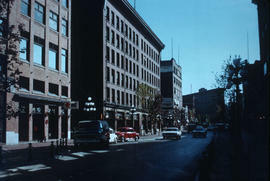 Photograph shows a vacant Bank of Montreal branch and the Royal Hotel. 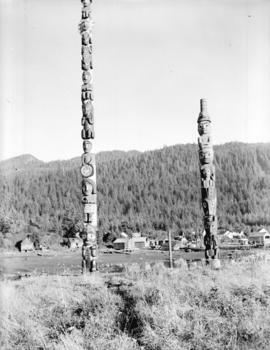 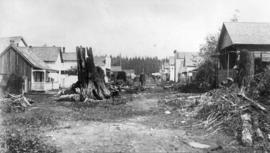 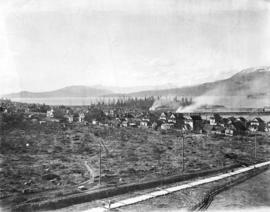 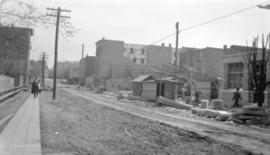 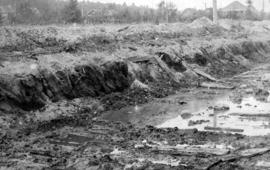 Panoramic view shows wooden streets and sidewalks, clear cut logging and Consolidated Mining and Smelting Co. 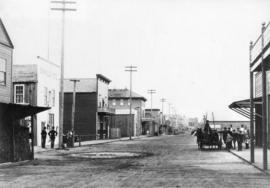 Photograph shows the Winch building, the stone wall around Harry Abbott House, a horse and cart in the street and wooden sidewalks. 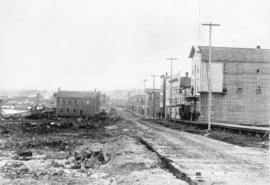 [View of] Hastings St. looking east from S.E. 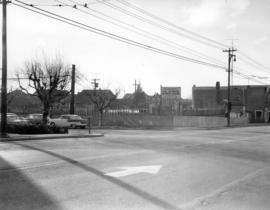 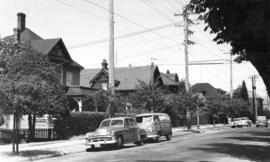 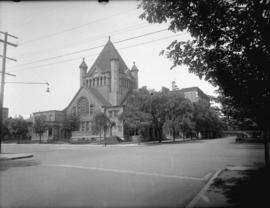 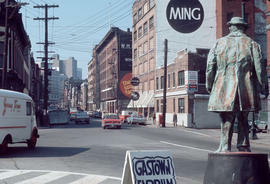 corner of Richards St.
[View of] Hastings St. looking east from S.W. 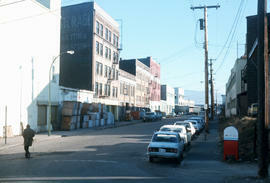 corner of Abbott St.
[View of] Hastings St. looking west from Abbott St. 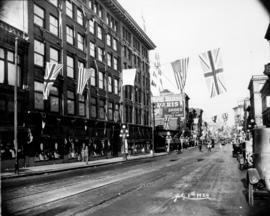 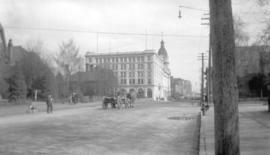 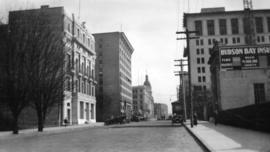 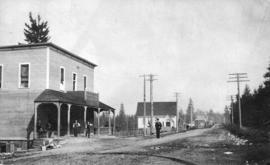 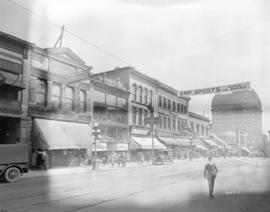 Photograph shows the Woodward's store and businesses along Hastings Street. 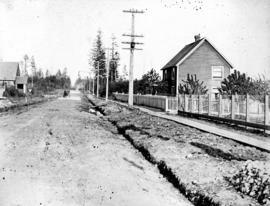 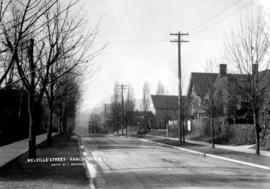 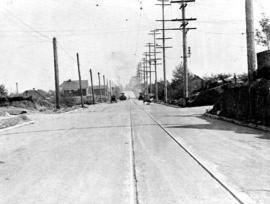 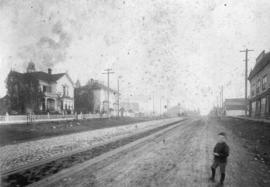 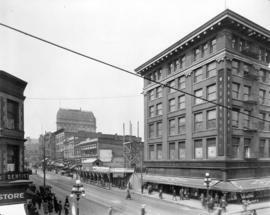 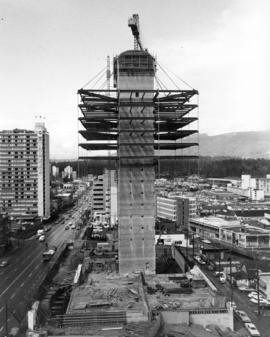 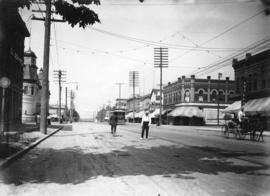 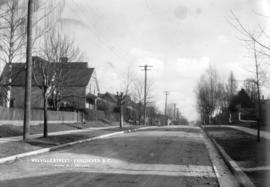 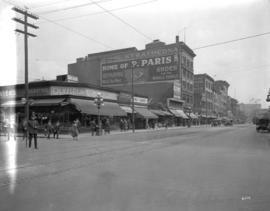 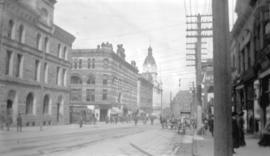 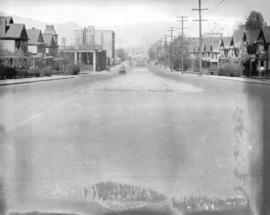 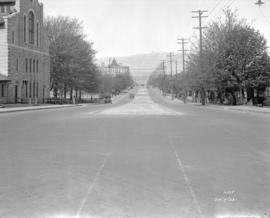 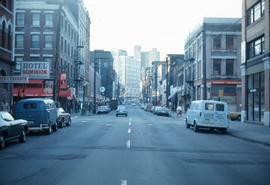 [View of] Hastings Street looking east from s.W. 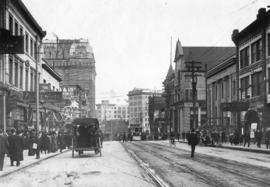 corner Abbott St.
[View of] Pender St. looking east from about Bute St. 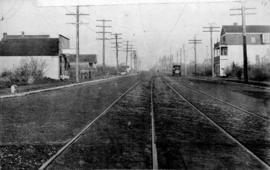 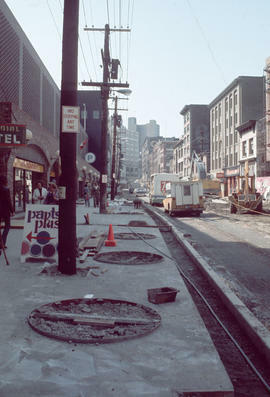 Photograph shows a carriage, a cyclist, a streetcar, and a pedestrian in the middle of the road. 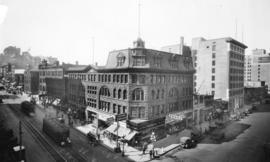 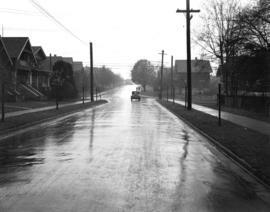 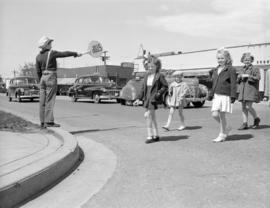 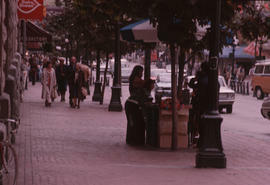 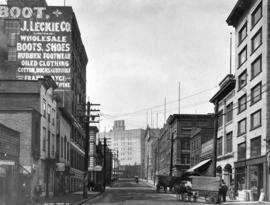 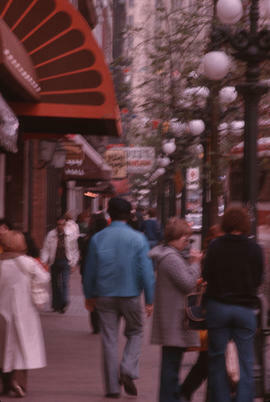 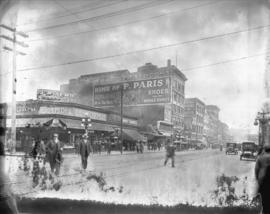 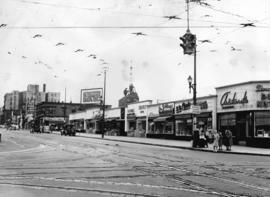 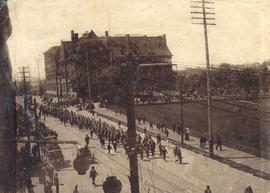 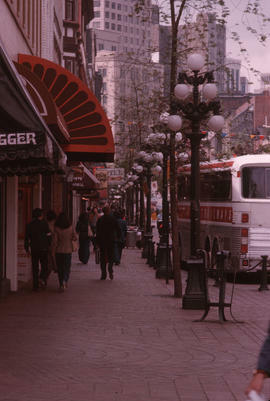 Photograph also shows commercial buildings, and other pedestrians.